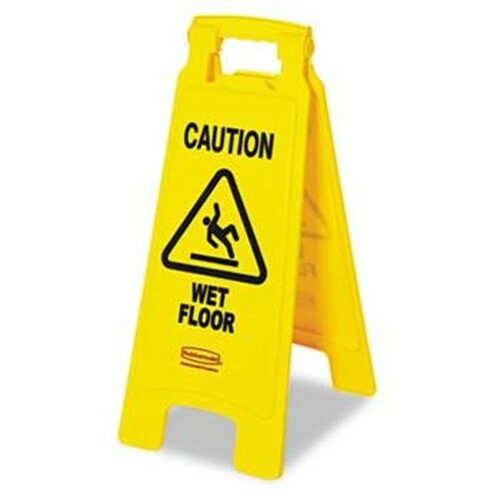 Caution Wet Floor Sign features a two-sided warning sign printed in red and black on high-visibility yellow. Ideal for doorways and narrow spaces. Safety sign folds flat for convenient storage or easy transport on a janitor cart. Sign can be read from 30 feet away and ideal for doorways and narrow spaces.